It was a good day to be a shareholder in General Communication Inc.
Shares of the Anchorage-based telecom leapt 62 percent, from $20.56 to close at $33.39, after a deal was announced April 4 to sell a controlling interest to Colorado-based Liberty Interactive Corp. for $1.12 billion that included a huge premium on existing shares. 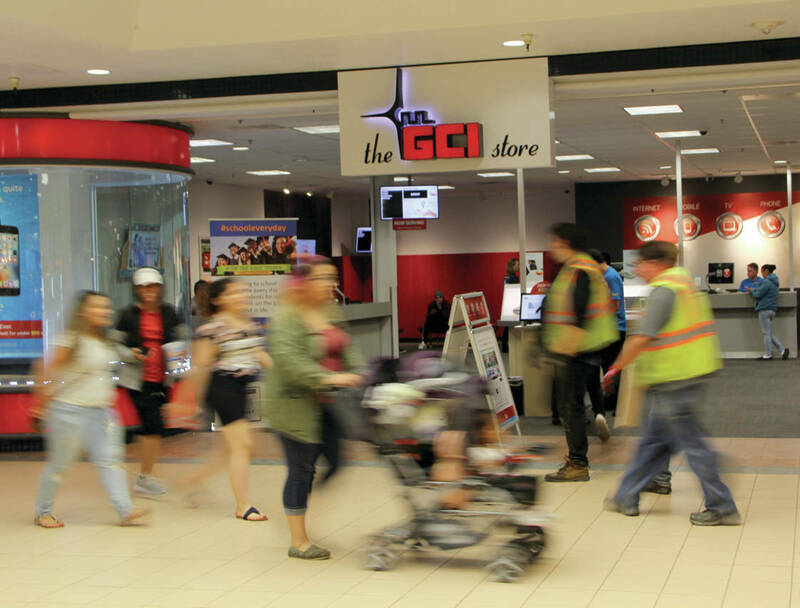 The deal will pay existing GCI shareholders $32.50 per share; the company’s stock has traded between $12 and $20 over the previous year. The new company will be dubbed GCI Liberty, but no major changes to existing service or management structure are planned. “We will continue to run the company with our focus on providing the best value for Alaska customers, offering opportunities for our employees and investing wisely in the Alaska market,” said GCI President and CEO Ron Duncan on April 4. GCI is the dominant cable and broadband provider in Alaska, and has a bit less than half of the wireless market share. It has 127,000 cable modem subscribers, roughly the same number of cable box subscribers and more than 222,000 wireless lines in service. Liberty Interactive Corp. operates and owns interests in a broad range of digital commerce businesses divided into the QVC Group and the Liberty Ventures Group. The QVC Group, named for the home shopping channel, includes QVC, an interest in the Home Shopping Network, or HSN, and zulily LLC. Liberty Ventures includes other assets such as FTD, Evite, Lending Tree and Charter Communications. The assets of Liberty Ventures are being contributed to GCI in exchange for the controlling interest, which will together be spun off into GCI Liberty Inc. in a tax-free transaction for the parent company. The last several years have brought about rapid change for GCI’s business. In 2013, GCI and Alaska Communications formed The Alaska Wireless Network, or AWN, by combining their infrastructure in a move designed to meet anticipated competition from the entry of Verizon that fall. Not much more than a year later, in December 2014, GCI agreed to buy out Alaska Communications’ share of the AWN and all of its wireless customers in a deal worth $300 million. The deal came with costs for GCI, which posted net income of $7.5 million, $9.4 million and $9.6 million from 2012-14. In 2015, GCI posted a loss of more than $26 million based on the costs of the Alaska Communications acquisition, and a loss of $3.6 million in 2016 caused by renegotiated roaming deals with Outside carriers as well as a $10 million decline in wireless revenue as it shed more than 5,000 wireless customers amid the state’s recession. It also saw a corresponding loss of 6,300 cable box subscribers last year. The company has neared completion of its TERRA network, which has been built in two phases, Southwest and Northwest, connecting dozens of rural Alaska communities to high-speed broadband using a combination of 2009 federal stimulus funds, New Market Tax Credits and its own capital. GCI, through its political spending and statements of executives such as Duncan, has been actively involved in the state budget debate and threatened grave consequences for his company if a fiscal solution isn’t found soon. The company recently followed through with its plans to cut its capital spending by 20 percent in 2017, which it said it would do last August after the Legislature finally adjourned with no budget plan, a deficit funded by savings and Gov. Bill Walker vetoing half of the Permanent Fund Dividend appropriation. Company officials announced capital spending in 2017 of $165 million, about 20 percent less than the $211 million in spent in 2016.